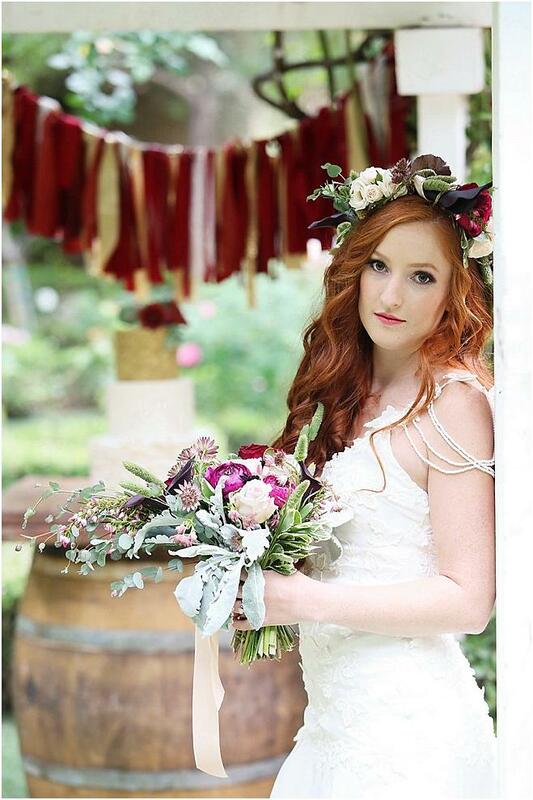 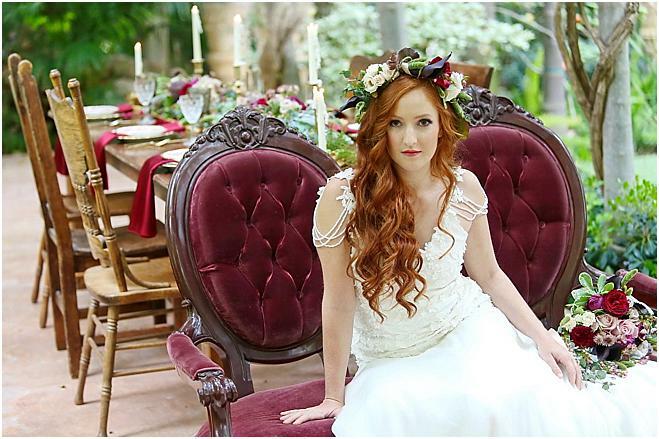 Photographer Kimberlee Miller teamed up with event coordinater Presh Events to create the most perfect Valentine's Day styled shoot at Hartley Botanica gardens. 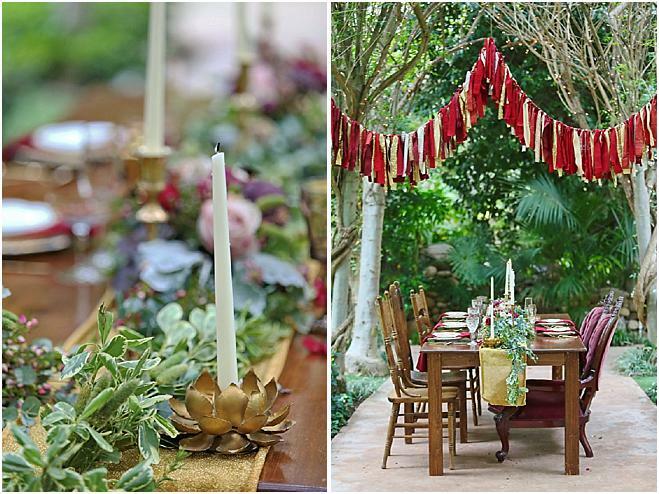 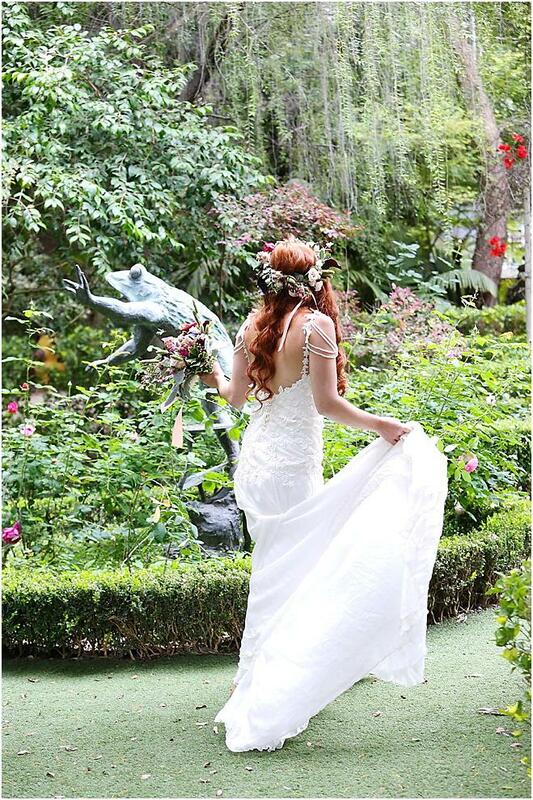 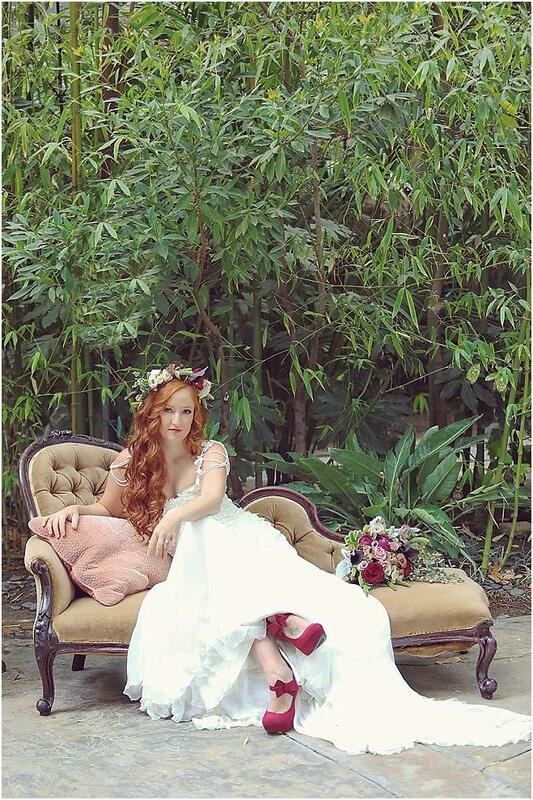 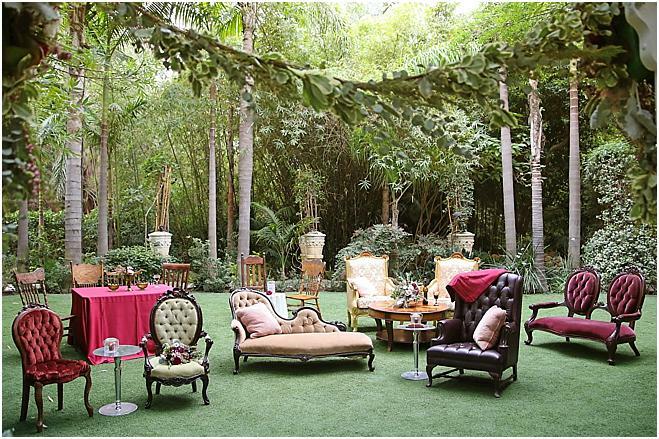 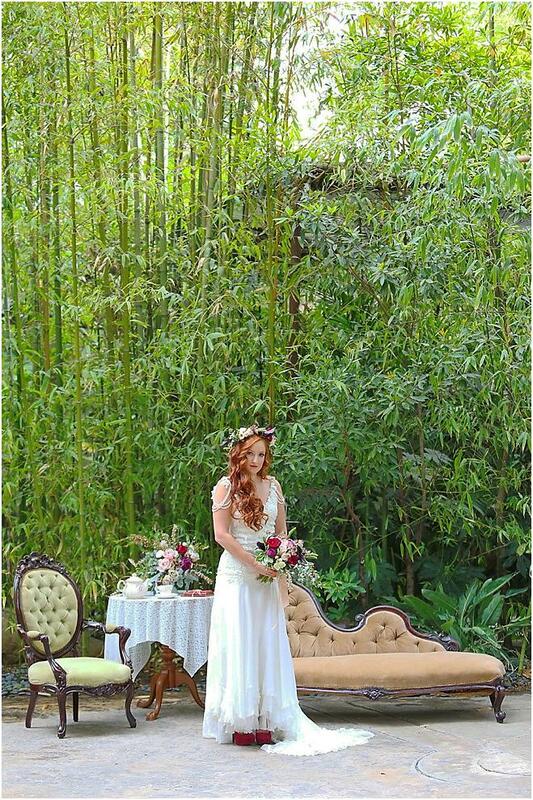 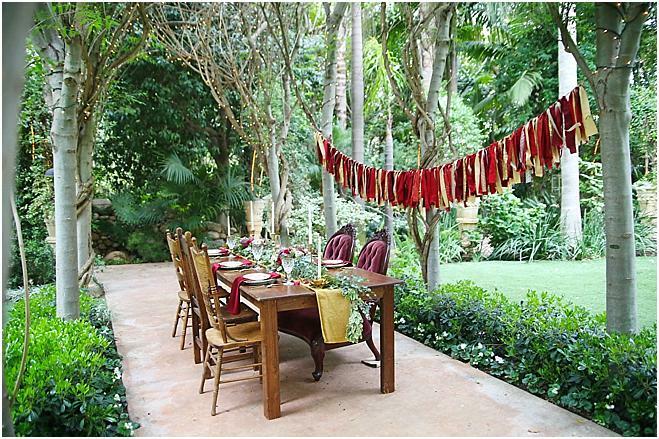 The lush gardens served as a breathtaking venue, enhancing the romantic mood of the shoot. 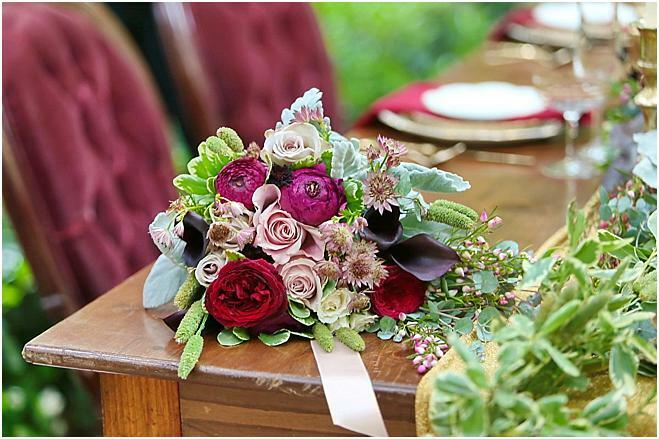 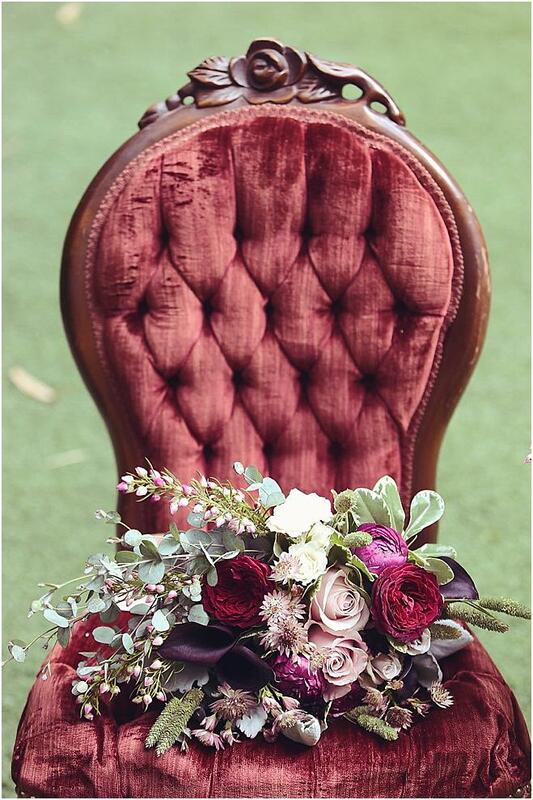 The lovely bouquet by Pedaling a Dream showcased roses, peonies and other warm-toned florals paired with bold pops of greenery, creating texture against a smooth velvet chair in deep burgundy. 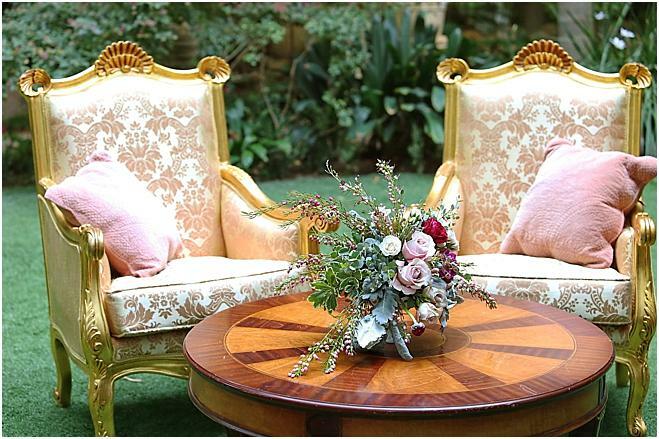 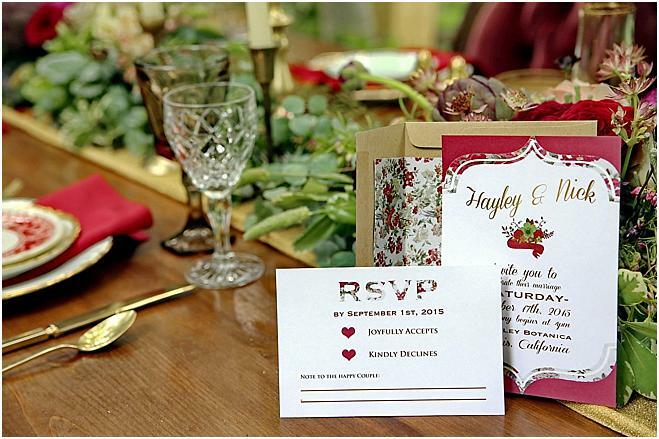 Mismatched furniture by Party Pleasers added elegant charm while floral accents in both the invitations and decor played to the garden venue. 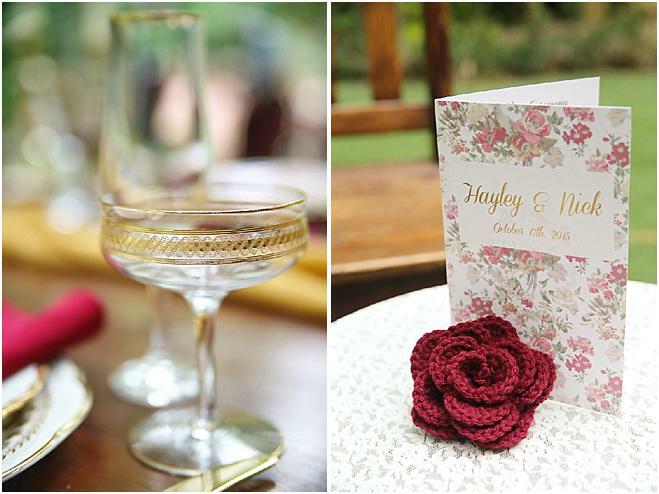 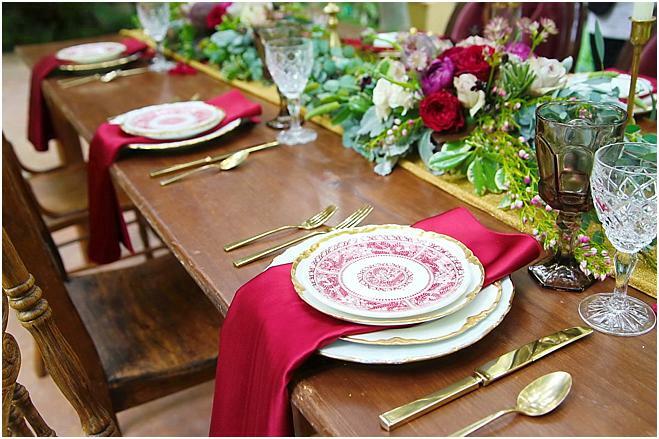 The gold table runner was topped with matching floral accents, drawing in colors from the tabletop decor by Otis+Pearl, including the bold red napkins. 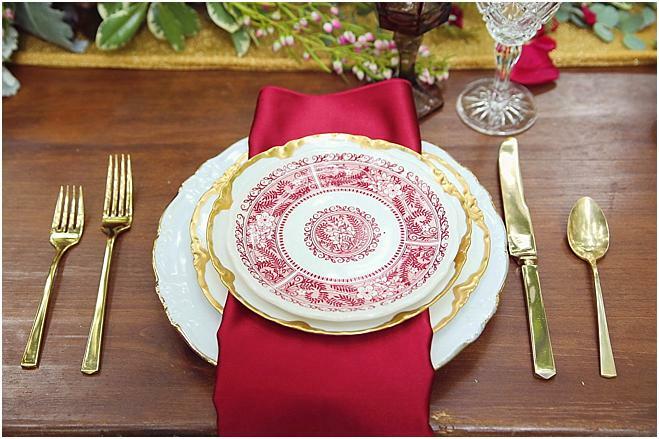 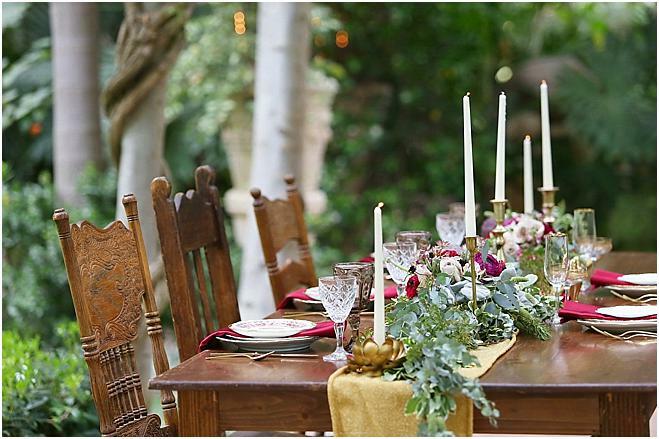 Hints of gold in the table settings added the sweetest touch of romance. 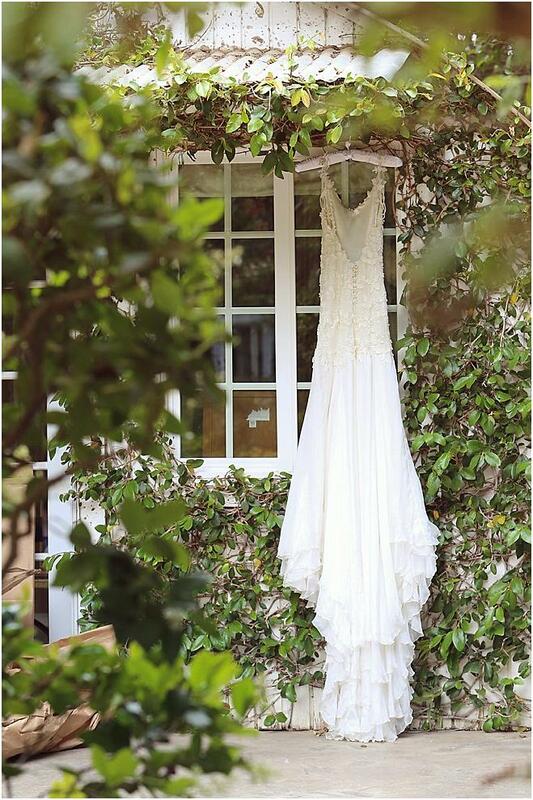 The bride stunned in a lace-accented dress by Elizabeth Mackenzie Designs with beaded off-the-shoulder accents. 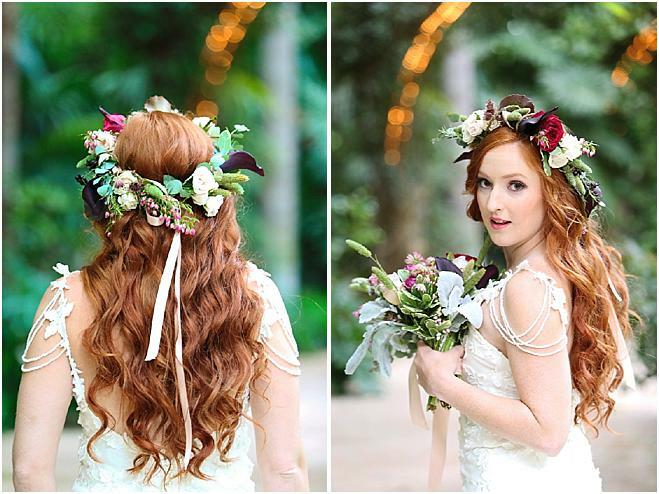 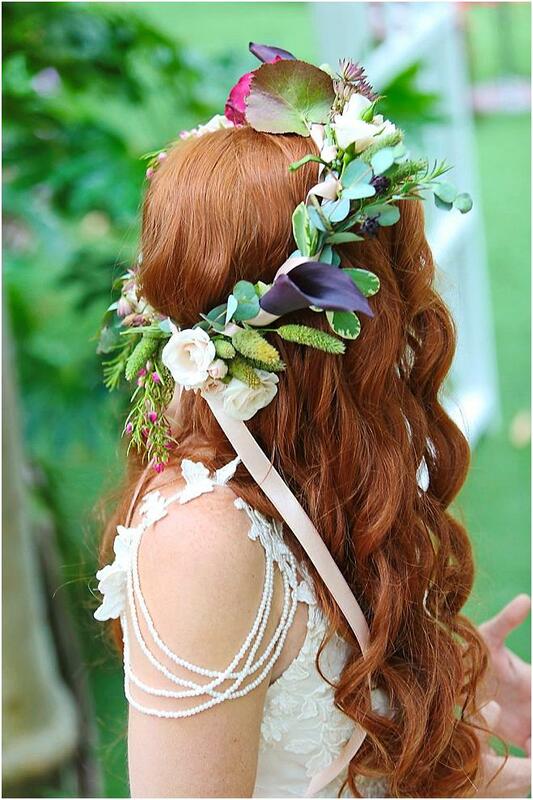 Romantic waves and fresh makeup by La Rouge Artistry were paired with a boho-chic flower crown to flawlessly complete the look. 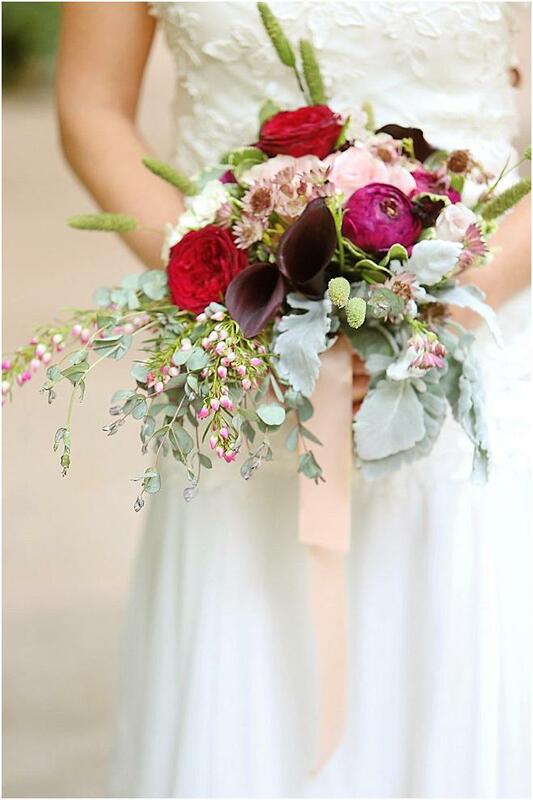 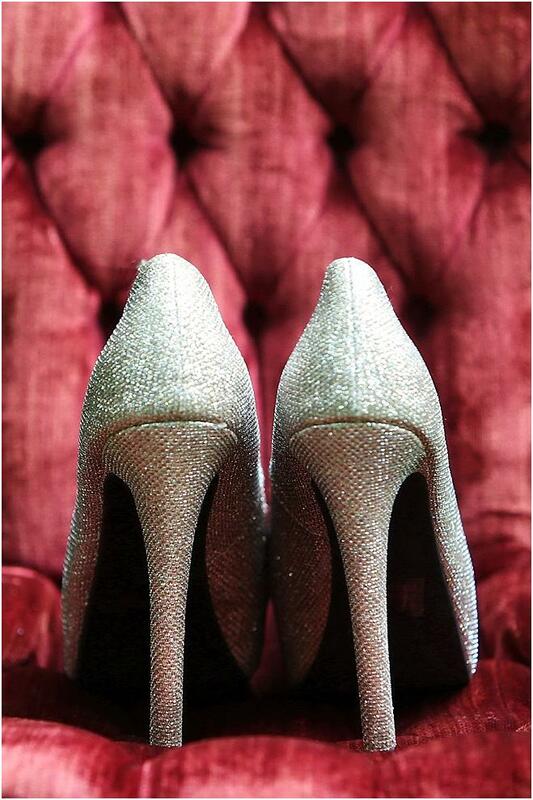 The floral details of the crown beautifully matched the bouquet and added a whimsical vibe that we adore. 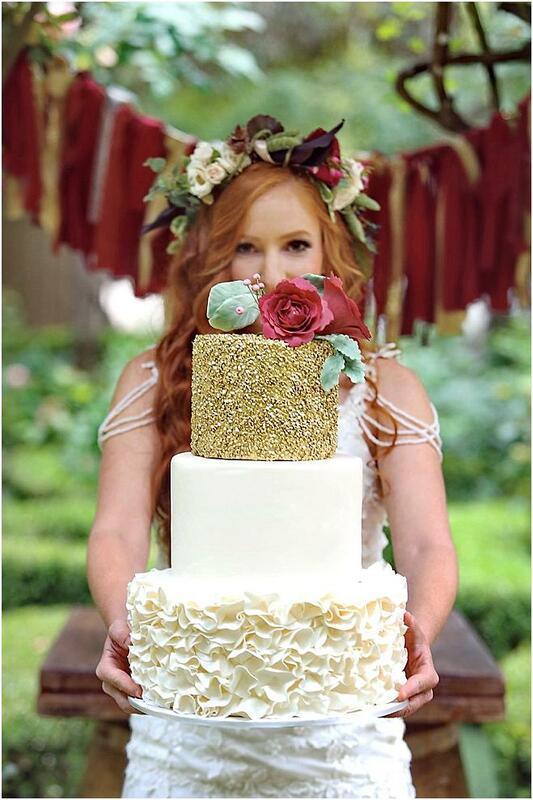 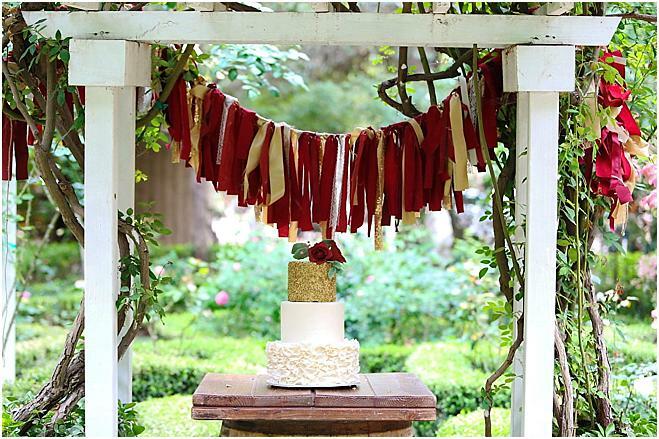 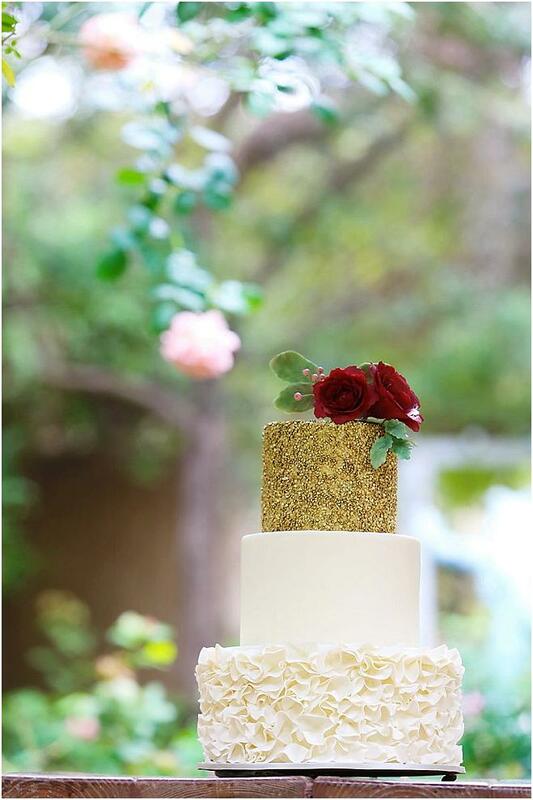 A white three-tiered cake by Frost It Cakery, both crisp and elegant, complimented the texture of the bridal gown on its bottom tier and boasted a sparkly golden top tier adorned with red flowers. 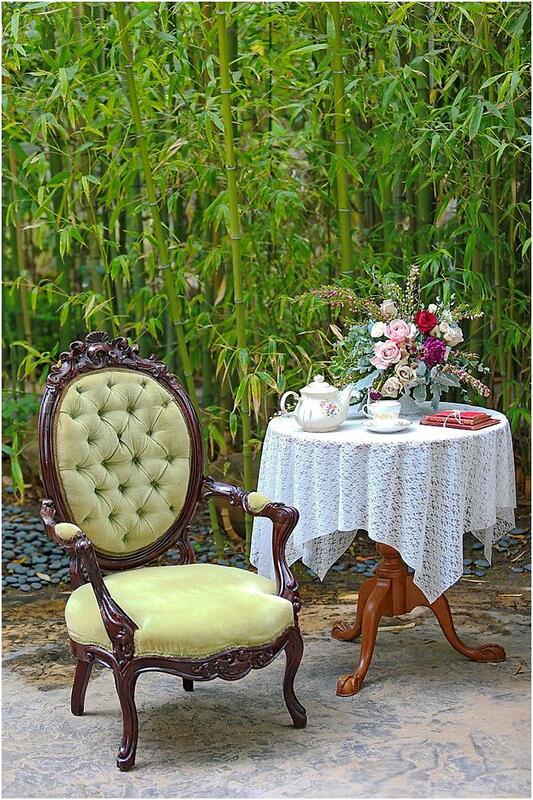 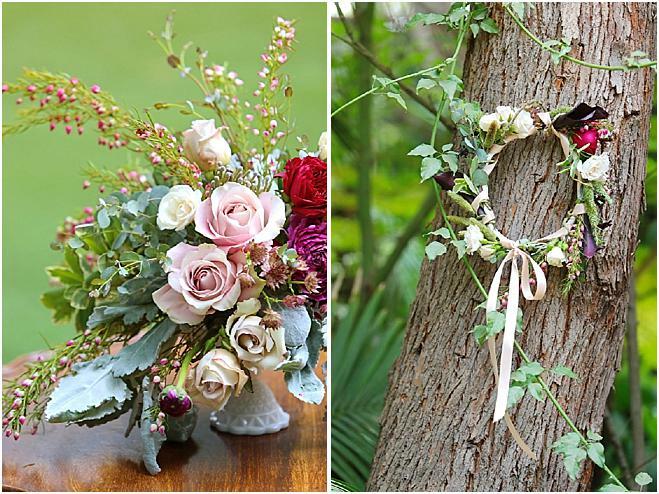 We can't help but feel the love in the air after admiring this charming display of romance!